Sometimes it only needs that little spark of inspiration! We want to bring the joy of music to everyone and in our Workshops you get to meet the best of the best. This is what we could offer in 2018! This is for Kids (6-12y) who love to sing! 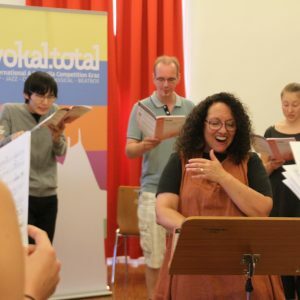 Join our little Choir and learn new Songs, train your voice and have fun! We will perform what we’ve learned at the end of the Workshops for all the parents. Oh, and of course! Since we are already at the GrazMuseum the kids will get a guided tour! 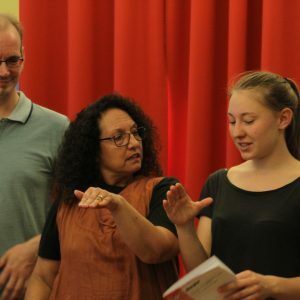 Miriam Ahrer studied choral conducting orchestral conducting and instrumental pedagogy at the University for Music and Performing Arts in Graz. 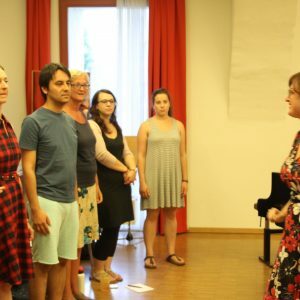 She is very busy leading various ensembles all over Styria and teaches at the music school in Frohnleiten, the Conservatory for Church Music in Graz and holds workshops and seminars in all Austria. 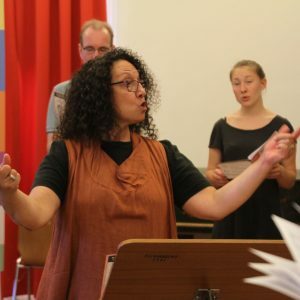 In the Chorverband Steiermark (choir union Styria) she is associate national conducter. 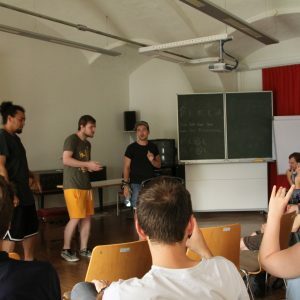 We have the worlds leading beatboxers in Graz. They had shows on the biggest stages with famous artists from many different countries. If you want to learn from the best, then this workshop is for you! Did you ever wonder how your A Cappella Group can improve even further? Aren’t you curious to look behind the curtain and into the rehearsal room of one of the worlds famous A Cappella Group? 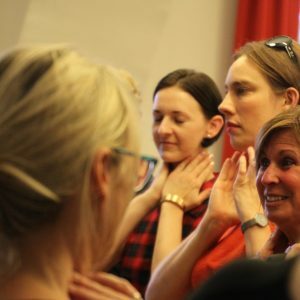 This workshop gives an insight in rehearsal methods, how to deal with intonation, getting a better time feel as a group and how to improve blending. 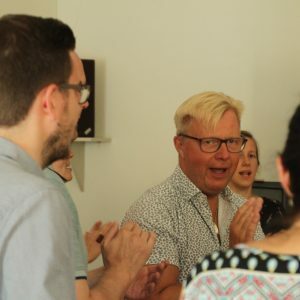 Learn about the tricks of The Real Group and get inspired from the expertise and knowledge of Anders Jalkéus. 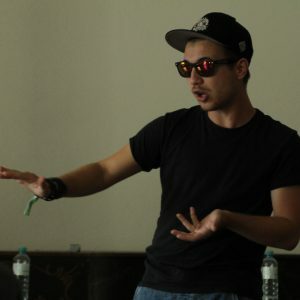 Anders Jalkéus was a singer and founding Member of The Real Group. 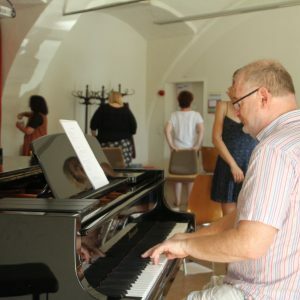 He has two masters degrees, one in Music Education and one in Classical Solo Singing. He also has a post graduate diploma in Vocal Group Singing. 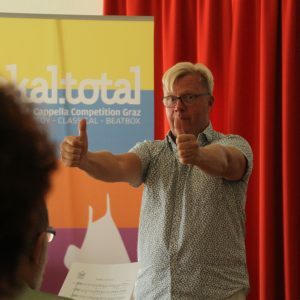 He has studied choir conducting with professor Eric Ericson and he is a frequent workshop leader, popular lecturer and well renowned adjudicator in competitions all around the world. 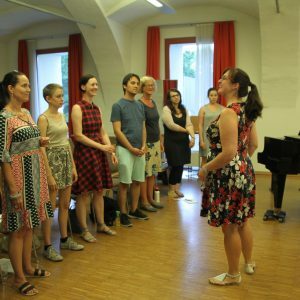 Improve your skill set and become an expert singer. Explore the harmony and music theory in Pop and Jazz. Get a deeper understanding through hearing it and singing it. Learn about a practical guide through intervals and chords. Beginning with simple triads to the exciting 6 part jazz harmony. To really integrate the theoretic understanding of music in your performance we will sing, sing, sing! 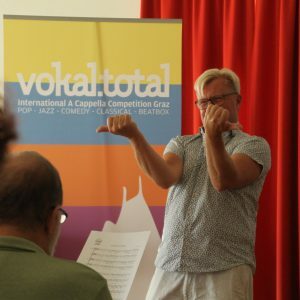 Matthias Becker is founder and manager of VoKAL ToTAL, the famous German vocal jazz quartet. 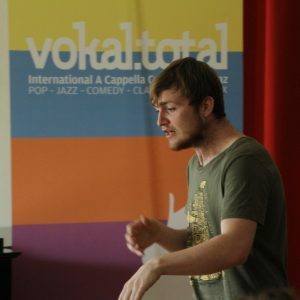 He has a diploma in choir conducting and a musicology PhD in „choir music in jazz“. 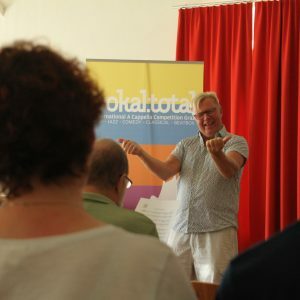 He is holding national and international courses in music for choirmasters, choirs and vocal ensembles, and has a publishing company for international Choir music. 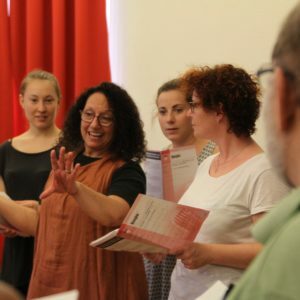 This is a detailed rehearsal workshop, designed to develop an ensemble’s awareness of the “whole picture”. This session will use Darmon Meader’s arrangement of “Moonglow”. 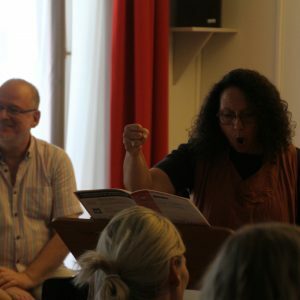 Attendees of the clinic will break into sections and then sing through the chart in various combinations: women and men as two separate entities, sopranos and basses together, tenors and altos together. All to develop the ensemble’s understanding of the various harmonic and rhythmic relationships within the parts. 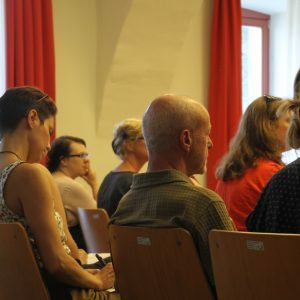 By the time everyone is brought together, various important issues are fine tuned: matched vertical vowels, matched sound between the two genders, rhythm and time, swinging consonants, connection to lyric, dynamics, phrasing and style authenticity. 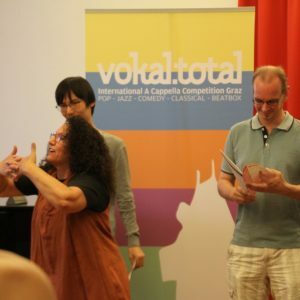 Kim Nazarian has been harmonizing all over the world with the New York Voices for the past 28 years. 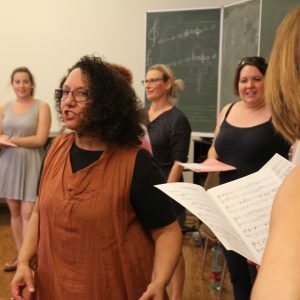 She has specialized in teaching vocal technique and the art of ensemble singing. 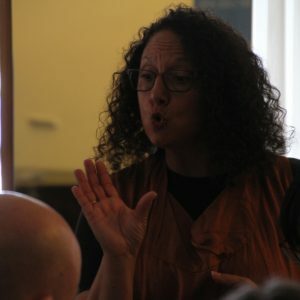 She continues her long‐standing position as an Artist in Residence at Bowling Green State University, and serves as the jazz voice teacher via Skype at Ithaca College. 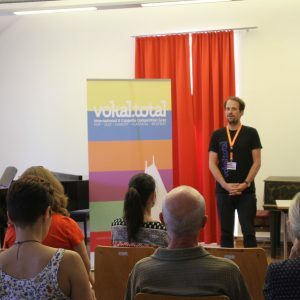 Estill Voice TrainingTM is an innovative system for teaching voice that integrates pioneering scientific research with the artistic study of voice. 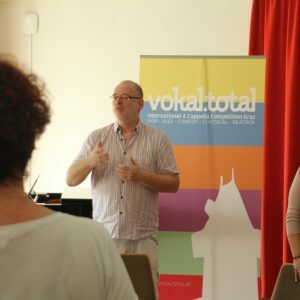 The purpose of this workshop is to demonstrate select Figures for Voice™ and apply them to a cappella challenges. 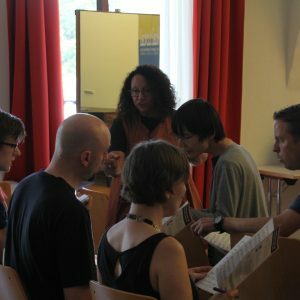 Workshop participants will have the opportunity to produce the Figures, describe the underlying anatomy and physiology, and apply them to specific musical examples. 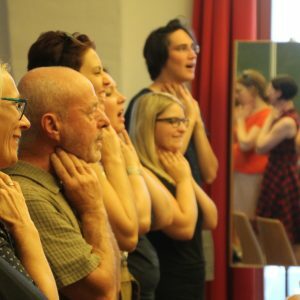 A cappella singers will find a new way to hear, feel, and see the voice. Kimberly Steinhauer has devoted her entire career to the voice—in song, education, and research. As a singer, she has performed in venues ranging from pop through opera & sacred music. As a scientist, Kimberly holds a Ph.D., was awarded a federal grant to study voice motor learning in aging singers and speakers. As an educator, she has taught in the public school and university setting. She is a Certified Course Instructor of Estill Voice Training and a Founding Partner and current President of Estill Voice International, LLC. This is an introduction to the energetic and ever impressive Belt voice quality. 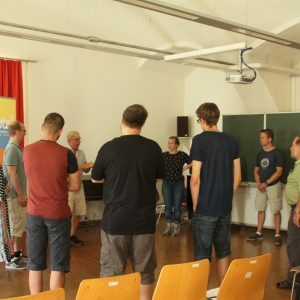 Each participant will be encouraged to build a healthy and sustainable Belt quality that suits their needs – from musical theater, pop and rock to handling a noisy environment. The Belt quality from the Estill Voice Training Model will serve as a standard and participants will gain a healthy perspective on this sometimes elusive sound. 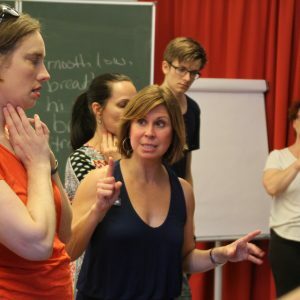 Corinne Mager is a Certified Course Instructor of Estill Voice Training. She holds a MM (Vocal Pedagogy) from the New England Conservatory and a BM (Vocal Performance) from Youngstown State University. 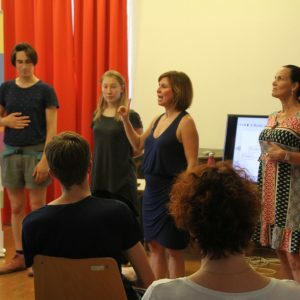 Corinne is currently teaching privately in Vienna and is a sought after guest workshop leader and lecturer. 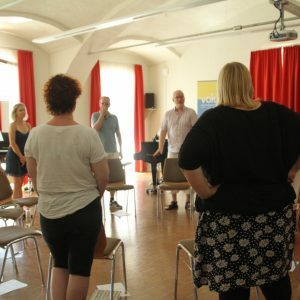 Rhythmic awareness as the foundation of the art of singing. Rhythm is the foundation of modern music. Solid understanding of this key element is essential for singers in order to have all the necessary tools to express themselves in the best and most effective way. 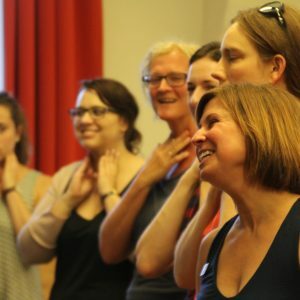 The goal of this workshop is to increase singers’ rhythmic awareness through an original approach. Fun exercises will be used to activate rhythmic curiosity, improve listening skills, and gain a better grasp of the relationship among time, rhythm and groove. 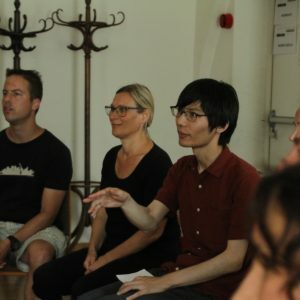 A truly unique workshop, interesting for everyone and boring only to those who will not take part in it. 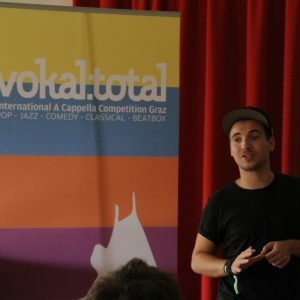 Andrea Figallo is very well known in the A Cappella scene. He studied voice and drama in Bologna, conducted choirs and performed with various vocal ensembles before joining the Flying Pickets and the Wise Guys later on. 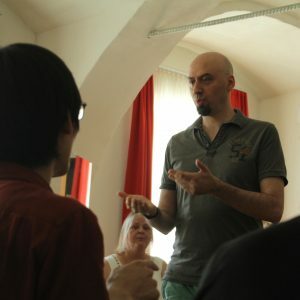 Today he is a sought-after vocal coach in seminars, workshops and master classes. He also appeared on Bobby McFerrin’s new CD “VOCAbuLarieS”.